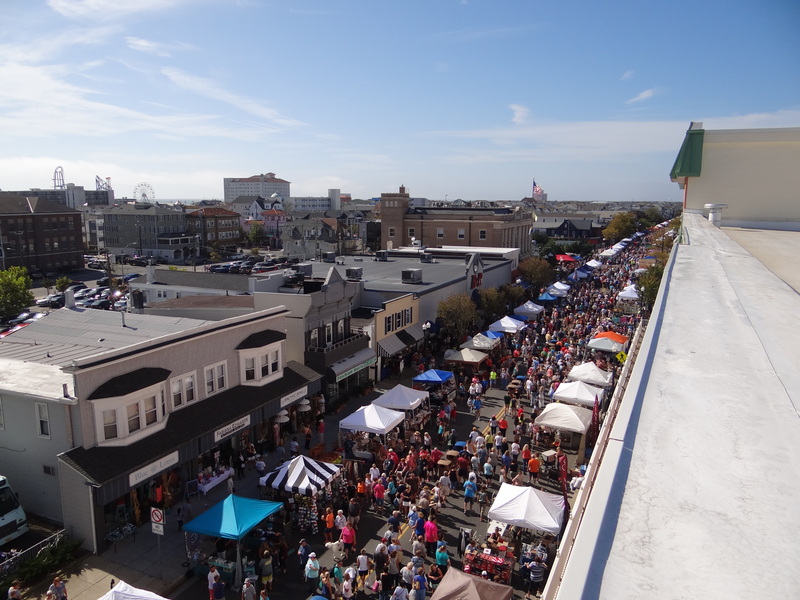 Ocean City’s Fall Block Party is just days away, and you don’t want to miss it! 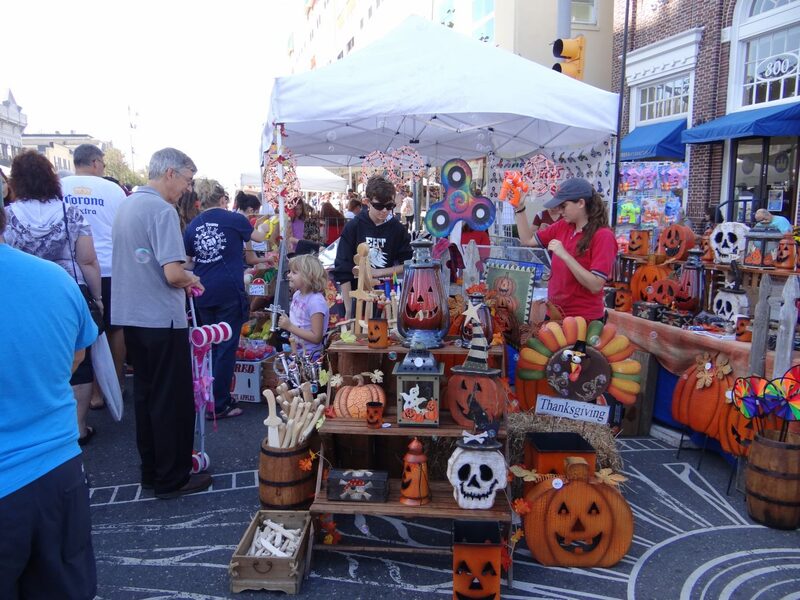 Twice a year, tents full of unique finds and handcrafted goods line Asbury Avenue, along with live music and delicious treats. And the party doesn’t stop at our doorstep—our amazing vendors will be featuring special sales both inside and out. So meet us at Stainton’s this Saturday, October 6th, between 9AM and 5PM for one of the best events Ocean City has to offer. Come for the beautiful fall weather, autumnal decor, and pumpkin spice everything; stay to get a jump on your holiday shopping with one-day-only deals! Pictured here: an aerial view of Asbury Avenue during Block Party. This entry was posted in Ocean City Events and tagged fair, festival, party.